(CNN) - Lyft continues to look for new ways to lure drivers to its platform. The ride-sharing company said Tuesday it will open its own repair shops nationwide, offering deep discounts on things like flat tire fixes, brake work and oil changes, and provide free bank accounts in a bid to attract and retain drivers. Lyft announced the perks before its initial public offering, which is expected to come as early as Friday. The San Francisco-based tech company, which lost $911 million in 2018, must convince investors it can turn a profit. 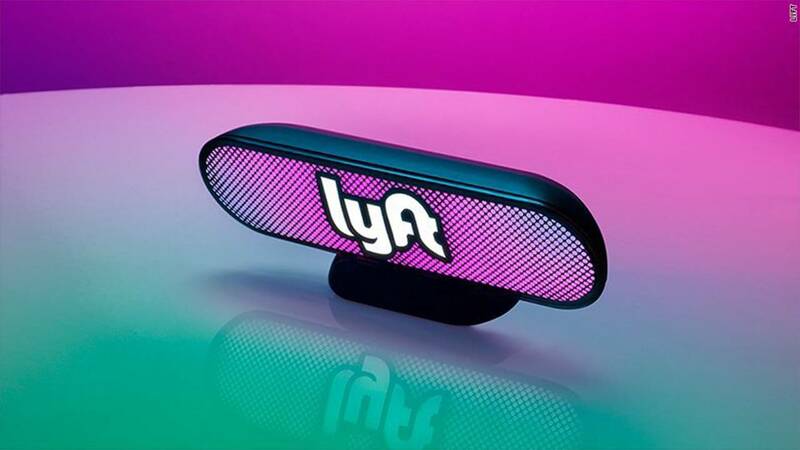 Opening auto service centers and offering bank accounts are added costs for Lyft, which will sacrifice its profit margin for the centers to give drivers better deals, according to chief operating officer Jon McNeil. Lyft's first repair shop opened Tuesday in San Francisco. It expects to open more in a number of major cities in the second half of the year. McNeil declined to mention an exact number, citing Lyft's quiet period ahead of its IPO. The company had 1.1 million active drivers at the end of 2018. The new programs aim to improve driver satisfaction and retention, which would help Lyft's bottom line. In its S-1, Lyft mentioned its need to cost-effectively attract and retain qualified drivers as a risk factor for its business. Lyft currently pays driver bonuses to sign up that can be hundreds of dollars in competitive markets. "Servicing a car is one of the biggest costs for drivers," McNeil told CNN Business. "We want to address that head-on. By helping them save up to 50% on the repair and get their car back in half the time, we're going to have a significant impact on driver take-home pay." In San Francisco, there's a $69.99 charge for an oil change, tire rotation and car wash. Labor charges on maintenance are $95 an hour. All active Lyft drivers will have access to the service centers. McNeil said one day anyone may be able to have their car serviced by Lyft. Lyft believes it can make its auto service centers more efficient than existing repair shops with modern manufacturing techniques. Many repairs don't require vehicles to be in a garage stall and a raised on a lift. Instead, McNeil described an assembly line system he likened to a NASCAR pit stop, staffed by technicians who are Lyft employees. "That car can pull in, four people can attack those tires, get them off at the same time and get them replaced. What can take a half hour can take less than 10 minutes," said McNeil, who previously worked at Tesla, which opened its own repair centers during his tenure. Earlier in his career, McNeil co-founded a chain of auto repair shops, Sterling Collision Centers. The bank account Lyft offers drivers will come from a partnership with Stride Bank, an Oklahoma bank that changed its name from Central National Bank of Enid in February. The account will come with a debit card and cash back on certain purchases, such as gas. Driver earnings will be available immediately. The account will remain open even if a driver stops driving for Lyft. McNeil said that Lyft was motivated by drivers who raised concerns about high bank fees. Lyft also must compete with its larger rival Uber for drivers. Uber offers its own perks, including discounts on phone bills and car maintenance costs. Since March 2016 Uber has offered a similar checking account with a debit card, immediate payments and cash back on certain purchases. Additionally, Lyft plans for a car repair service in which Lyft technicians would drive with their tools to the vehicle needing service. The company continues to juggle how to keep drivers happy with becoming a profitable company. It's currently challenging rules in New York City that would guarantee drivers a minimum wage. But that's been unpopular with drivers who say they deserve more. "It is like a punch in the gut to us, the drivers who helped build this company, that Lyft stood in court suing to block higher wages at the same time as they moved toward an IPO at a $23 billion valuation," said Lyft driver Tina Raveneau, in a statement from the Independent Drivers Guild, a group that advocates for ridesharing drivers.